Seven Dwarfs Mine Train Roller coaster attraction in Fantasyland at the Magic Kingdom at Walt Disney World, opening on May 28, 2014, after a May 2 dedication. 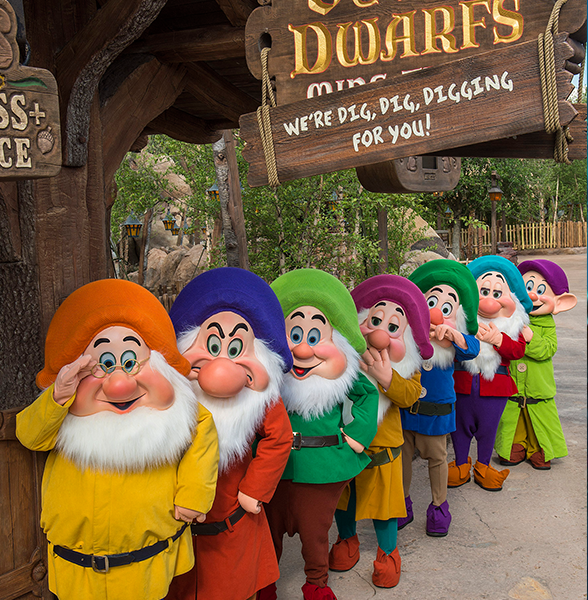 Guests ride in mine carts through the Dwarfs’ diamond mine. The innovative ride system features five-car trains designed to swing independently from side to side as they move along the track. Some of the props and figures from Snow White’s Scary Adventures, which closed in 2012, were used in the attraction. Also a Fantasyland attraction at Shanghai Disneyland; opened June 16, 2016.